The green institutional bathroom I used at my art studio was transposed into the corner of an MCA gallery. 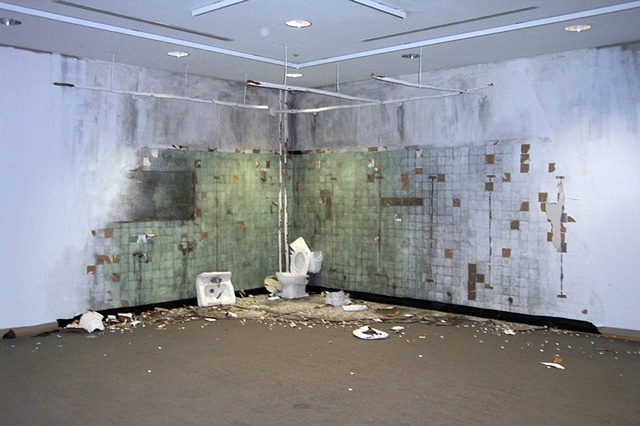 A decrepit public bathroom that normally would be repressed in such a modern blank space (both aesthetically and psychologically) caused viewers to do a double-take. Upon closer inspection, the illusion of the disintegration also disintegrated as the tiles and plumbing revealed themselves to be paper-thin.